A special occasion of recognising success and innovation in the sports media industry, whilst providing a platform for social change and raising money for the Play for Change charity. With VIPs, entertainment, a luxury auction and fabulous company ... the evening had it all. Watch our new video which shows all of the awards! 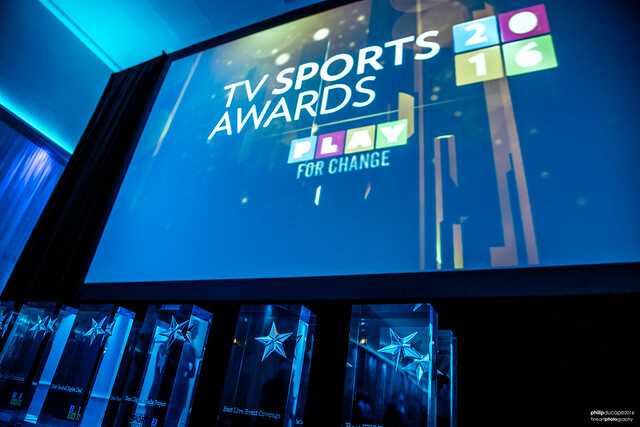 On Monday 24th October, Monaco played host to the second ever TV Sports Awards (TVSA) honouring the best work in the sport media industry. The TVSA provided a magnificent occasion to unite and celebrate the success and magical moments of the industry. The event was about demonstrating the power of sport and this year a young talented dance group from Monaco added a youthful sparkle to the evening. Kicking off with the Golden Boy award which was awarded to Renato Sanches, Bayern Munich. The Golden Boy award was presented by Tuttosport and was established in 2003 to celebrate the best u21 footballer. This was the first year that the Golden Boy award was presented at the TVSA. The charismatic Edward Rising, Sotheby auctioneer, took to the stage to help raise a phenomenal amount through the live auction. Items included, Cracking Art sculptures, a signed Cippolini bike, Andy Warhol signed artwork, holidays in Indonesia and Mexico. The online auction was powered by Charity Stars. Funds will go towards strengthening and developing the Khelaun Khelaun programme in the Lamjung District in Nepal. Currently the programme is helping over 3,000 children in 37 schools, 40 local people have been trained and playgrounds have been rebuilt in communities. You can still help to make a difference! If you are interested in donating to our programmes or would like to find out more please contact info@playforchange.org.